After predicting Mexico's triumph against Germany, we lived with fans of the 'Canarinha' Brazil - Switzerland, and challenged our fans in futbasket to get two VIP tickets for the Barça Experience Tour! Few people — if anyone — dared to predict Mexico's stunning victory over Germany in the group stage of the 2018 World Cup. But The #BarçaWorldCup Show, using the popular game of foosball, went out on a limb, and in episode number one called the shocking upset that El Tri pulled off against Die Mannschaft, the reigning world champions. 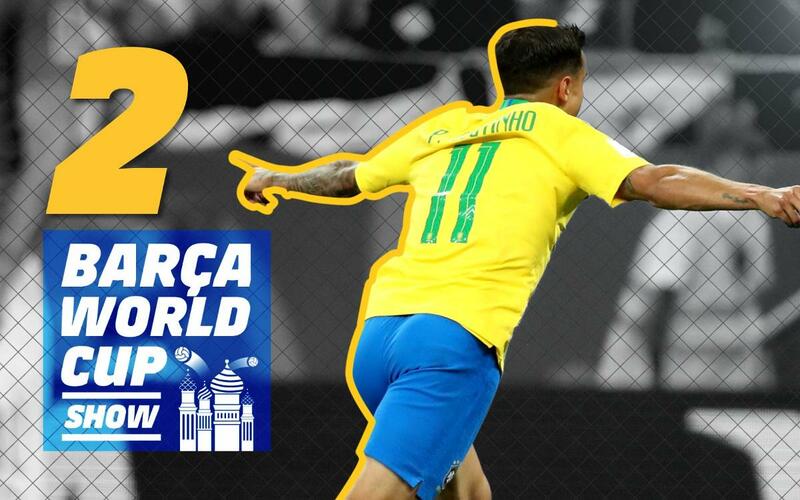 Which match will The Barça World Cup Show take a stab at in in the second round of games? Discover our next prediction in an all new episode, as we provide updates of the how the Barça players are faring in Russia, go into the Barça Megastore at Camp Nou to put our fans to the test, and go inside an iconic Barcelona spot for an authentic look at hpw the fans lived Brazil's match against Switzerland. The World Cup may be in Russia — but The #BarçaWorldCup Show is where the real excitement is!